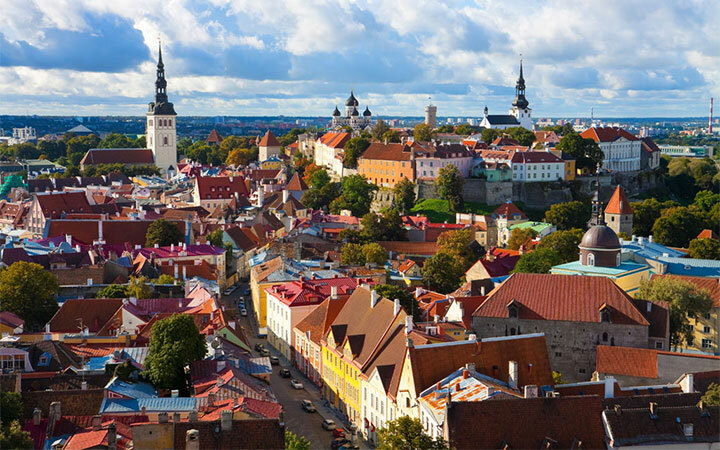 Estonia is a developed country with an advanced, high-income economy, Estonia is a member of the OECD. It ranks very high in the Human Development Index and performs favourably in measurements of economic freedom, civil liberties, education and press freedom (third in the world in 2012). Estonia is often described as one of the most wired countries in Europe, and is ranked 20th in the UN e-Government Readiness Index. Oil shale energy, telecommunications, textiles, chemical products, banking, services, food and fishing, timber, shipbuilding, electronics, and transportation are key sectors of the economy. As a member of the European Union, Estonia is considered a high-income economy by the World Bank. The country is ranked 11th in the 2014 Index of Economic Freedom, and the 4th freest economy in Europe. Because of its rapid growth, Estonia has often been described as a Baltic Tiger. Beginning 1 January 2011, Estonia adopted the euro and became the 17th Eurozone member state. Notwithstanding the deep 2008-9 economic crisis, Estonia has achieved one of the highest medium‑term growth rates in the OECD, accompanied by rapid income convergence. The strong recovery from the crisis has benefited from structural strengths of the economy: a flexible labour force, business friendly regulation, well capitalized financial institutions, a successful transition from the currency board to euro area membership, and sustained credibility of fiscal policy. Estonia has high levels of educational attainment: 89% of 25-64 year-olds have at least completed upper secondary education against an OECD average of 75%. The proportion of 25-64 year-olds with a tertiary qualification also compares well with the OECD average (37% against 32%). Estonia is well known for being the most wired and technologically advanced country in Europe, which may explain why young people with tertiary education are doing better during the crisis than their older counterparts. Furthermore, participation in non formal education in Estonia is above the OECD average. The time devoted to teaching mathematics and science in Estonia at the lower secondary level accounts for 38% of compulsory instruction (15% for mathematics and 23% for science) which is well above the OECD average of 25% (13% and 12% respectively). The University of Tartu has been listed among the top universities by the Center of World University Ranking in 2014. 67% of people aged 15 to 64 in Estonia have a paid job. An estimated 82% of individuals with at least a tertiary education have a paid job. In 2012, Estonia remained the only Euro member with a budget surplus and it is one of the least indebted countries in Europe. Estonia is a very tech-savvy country, with most classrooms and homes having an Internet connection. For the sake of convenience, then, Estonians decided to automate voting. Estonia’s capital became the world’s first to introduce free public transport for all of its residents. All that’s required is a transit pass showing you are a registered Talliner.